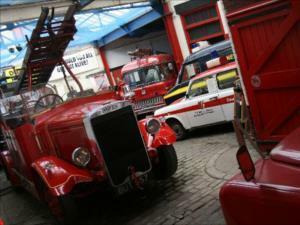 The museum is located in one of Yorkshires first purpose built combined Police, Fire and Ambulance Stations dating back to 1898. This amazing building houses over 45 vehicles relating to the worlds Emergency Services from Horse Drawn Fire Engines to Ambulances and from Police Cars to Mines Rescue! 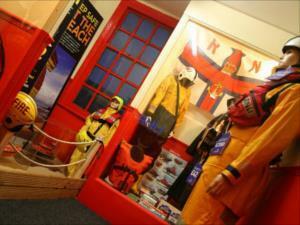 ‘FIRE’ your imagination in the world’s largest combined Emergency Services Museum! 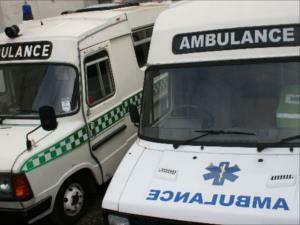 Explore the history of the Emergency Services dating back thousands of years! Discover the grim side of crime in our original Police Cells and Learn about the vehicles, uniforms and equipment they use both then and now! The museum uses lights, sound and smoke to bring history back to life! 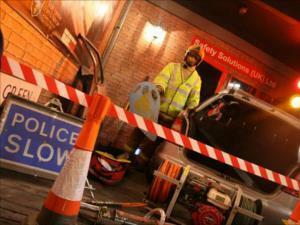 See what it’s like to stand next to a Road Traffic Incident and see how the services work together to rescue people! Stand in the middle of a street fire and feel the atmosphere around a house fire! Take a ride in a real life fire engine and live the dream of becoming a Firefighter for the day! (Fire Engine Rides on Weekends only). There’s something for everyone, every age here at the museum. Take the time to relax in our Café with its open log fire (winter). From the East: Leave M1 at jct 33, motorway to city centre via parkway. At island take A61 Barnsley for 0.75 miles, we are on the roundabout. From the North: Leave M1 at jct 36 and follow signs to Sheffield North/City Centre for about 6 miles. Take Bus no 81 from the city centre and alight at West Bar. The Museum is within walking distance of Sheffield city centre.